Fruity, simple, sweet, and refreshing – fruity snacks at Walt Disney World are insanely delicious! Whether if you prefer your fruit covered in chocolate or wrapped in warm waffles, you’ll love the fruity snack options at Disney World. Don’t believe me? Check out this tasty list! Here are the best fruity foods, snacks, and drinks at Walt Disney World that every fruit lover absolutely must try during their next visit to Disney. Warm waffle topped with fresh berries and banana, covered with Nutella. So good! You can get this from Sleepy Hollow Inn at Magic Kingdom. Apple slush infused with toasted marshmallow syrup topped with passion fruit foam. One of the best ice cold treats at Disney World! Get this from Gaston’s Tavern at Magic Kingdom. Literally tastes like an orange creamsicle. Get this from Sunshine Tree Terrace at Magic Kingdom. By far one of the most underrated desserts at Disney World. I’m not sure if it’s the fluffy cream of the sweet tart, but it’s so darn addicting. Get this from Les Halles Boulangerie Patisserie at Epcot. 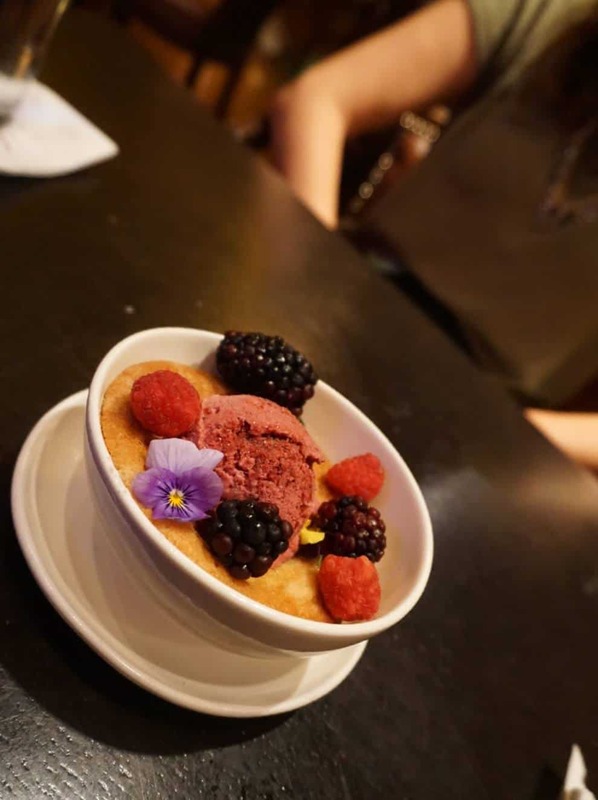 Warm and fluffy berry cobbler topped with a berry sorbet. Get this from the Territory Lounge at Disney’s Wilderness Resort. If you love lemon then this treat is for you. It’s so zesty! Get this from Les Halles Boulangerie Patisserie in Epcot. Fresh pineapple spear covered in chocolate. Plus at Karamell Kuche in the German Pavilion at Epcot, you can get it covered in chocolate AND drizzled with caramel. Fresh strawberry covered in milk, dark, or white chocolate. And just like the pineapple, you can get it drizzled with caramel too! Forget the school bread and go for a puff pasty filled with thick and fluffy cream and fresh berries! Get this from Kringla Bakeri og Kafe at Epcot. The most raved about dessert at Disney World. Pineapple ice cream and fresh pineapple juice! And as an added bonus, you can even get it swirled with vanilla (at the Polynesian Resort only). Get this pineapple addict favorite at Aloha Isle in Magic Kingdom or Pineapple Lanai at Disney’s Polynesian Village Resort. 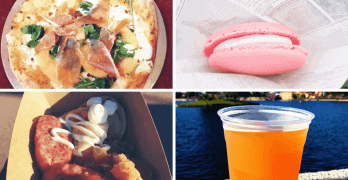 And for more delicious Disney World food recommendations, be sure to checkout our insanely delicious bucket list! Woman of Als0;&#823enFantaitic perform you have accomplished, this page is really amazing with superb information and facts. Time is God’s technique for maintaining everything from happening at the same time….